What happened was this. Until the one-language requirement took hold, Rakuten’s subsidiaries, some of which had been acquired seven years prior, had operated in a culture independent from the Tokyo headquarters. The Rakuten Way had been confined to the employees who spoke Japanese and worked in Japan. All that changed a couple years into the company’s transformation from multi-lingual to English only. Once the Tokyo employees achieved some fluency in English, they were able to translate Rakuten’s policy handbook from Japanese to English. This door-stopping tome arrived one day in the New York office, along with a person whose job it was to enforce the many norms, attitudes, and behaviors the book described. The American employees, who had believed their native-born English language fluency insulated them from the need to change after the lingua franca mandate took effect, now had to adopt what was, for them, a new corporate culture. Among other things, The Rakuten Way demanded more KPIs, heavier workloads, and the uniform wearing of an identity badge. Language enabled the corporate culture to spread and change in other ways, too. Whereas previously, CEO Hiroshi Mikitani had made his weekly address in Japanese, now he spoke in English. He spoke in English all the time now, and served as a model for the rest of the workforce, who were expected to conduct every meeting, informal conversation, and written communication in English. Information sharing, which had previously been hindered by translation or an employee’s native language, could now flourish and proliferate in ways that had previously been impossible. Conference calls and annual face-to-face meetings engaged single-function teams dispersed across the world, and individual relationships sprang up between managers located in Brazil, France, Germany, Indonesia, Japan, Thailand, Taiwan, and the United States. This spike in communication enabled increased sharing of best practices, past experience, and project collaboration among top executives as well. Corporate culture was also spread through technology, such as the newly-built company intranet and social media network, which facilitated internal communication among global employees. These platforms provided a centralized and systematic means for all employees to read important company information, share documents, access common tools, and collaborate, regardless of their location or fluency with the lingua franca. In other words, an English language mandate enabled the corporate culture to change from a series of locally focused subsidiaries to a global learning culture. The language change affected the corporate culture around recruitment and hiring practices. Talented engineers from around the globe were now attracted to an English-speaking Rakuten, and the change in demographics was apparent to anyone who visited the cafeteria in Tokyo, as I did. Instead of a majority-Japanese population, the workforce had become global and well integrated with employees from every continent. Rakuten’s global expansion increased rapidly and aggressively after the English language mandate was instituted. Again, a fully-fledged lingua franca program that enabled disparate populations to communicate furthered the ensuing transport of the Rakuten way and eased its transition to becoming a global company. Mikitani believes that because differences, areas of concern, and coordination could be communicated, an English-only policy enabled Rakuten to better integrate newly acquired companies into the corporate culture. In summary, the unleashing of Rakuten’s corporate culture globally would not have become possible without its language strategy. Although global companies may initially sign on to an English language policy with the intention of merely changing or enhancing communication channels among their workforce, the larger and more consequential organizational changes that follow have to do with the spread and diffusion of corporate culture. Ultimately, that’s a good thing, because as everyone knows by now, a corporation’s culture is also its competitive advantage. 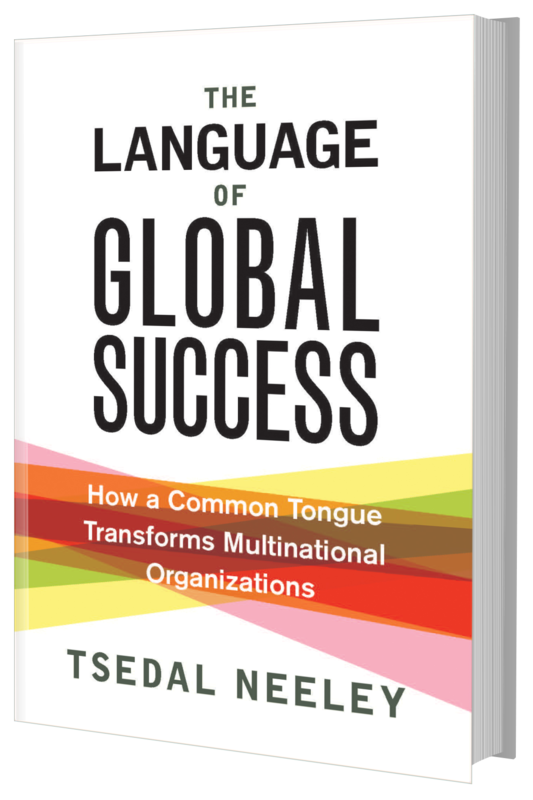 To learn more about unleashing your corporate culture to capitalize from the promise of your globalization efforts, read The Language of Global Success, available now at your favorite book retailer.